Scholarship student Vân Ựớc is usually very practical, so when she wishes that gorgeous Billy Gardiner would notice her and he suddenly does, she is flattered but worried that it is an elaborate joke. You will fall in love with Vân Ựớc as she grapples with high school, romance and the truth of her Vietnamese parents’ history. Cloudwish is a sophisticated and contemporary story set in multicultural Footscray and Melbourne that is sure to become a classic. For ages 13 and up. This love letter to Melbourne will warm readers’ hearts. A tale of a theft, a legend, young lovers and art. In 1986 the Australian Cultural Terrorists stole Picasso’s Weeping Woman from the National Gallery of Victoria. Held ransom for a demand of increased funding for the arts, the painting was ultimately returned, but the Australian Cultural Terrorists are to this day still at large. 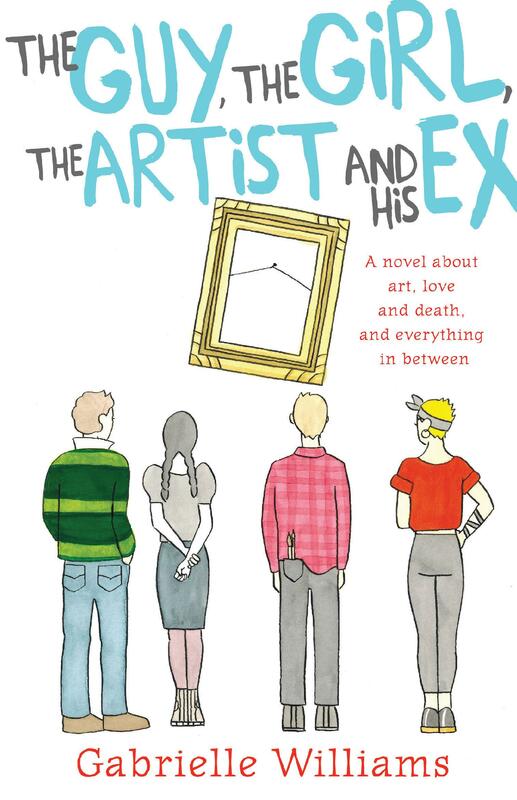 The Guy, the Girl, the Artist and his Ex is a brilliantly funny read based on the notorious night it all happened. Highly recommended reading for ages 13 and up. Environmental issues, peaceful activism and romance, really, what more could you want in a novel?! Astrid is hell-bent on getting her community to embrace saving the environment, however her message is falling on deaf ears. That is until Hiro comes along. I knew this YA novel was going to be my favourite for the year as soon as I picked it up. Bravo Lili Wilkinson. Ages 14 and up. Phenomenal! I’ll Give You the Sun is about the fractured relationship between twins Jude and Noah, each telling their side of the story – Noah as a 13 year old and Jude, 3 years later at 16. The twins are both so easy to spend time with even though they are broken and drowning. This is an expansive, encompassing story beautifully written by Nelson, I cannot recommend it enough. With this page-turner of a romantic adventure story, Rainbow Rowell re-imagines the magical boarding school narrative in ways that will delight Harry Potter fans and thrill a whole new teen audience. Rowell always writes teenagers so well, giving us characters that feel refreshingly flawed, and demonstrates a seemingly inexhaustible depth of empathy for them. This novel resonates with the power of a Grimm Brothers' fairytale. Mayhem ensues when two girls (one rich, one poor) trade places and struggle to deal with their changed circumstances. The characters may be real but the adventure that awaits them is fantastical and brings to life mythic figures from Russian folklore. What follows is a work of magical realism in the tradition of Gregory Maguire’s earlier success, Wicked. When a series of murders hit a seaside town, a young girl forms a friendship with a boy over their fascination with the macabre, as well as their shared sense of being the odd ones out. A chilling look into the mind of a sociopath in the making, this is one of the most original novels of the year. Remix follows two girls, Ruby and Kaz, throughout the course of a weekend at a music festival. They go to escape reality and have some fun, but their trials follow them in the form of ex-boyfriends, family dramas and the shadows of their changing circumstances. A great coming of age story set against the backdrop of a heady summer weekend. Adam has OCD and his teenage life is full of challenges – getting through even the simplest of tasks is tricky. He attends a group with other teens who experience similar compulsions and make for a posse of engaging characters with whom you feel an affinity. An intriguing plot unfolds with aching humour as these outsiders get to know each other and begin to shine. This has won several Canadian awards, and it’s one of my standout reads for 2015. A young soldier on his first rescue mission in Afghanistan is stranded in enemy territory with a Doberman mine-sniffer as his only ally. From the very first heart-racing chapter, Louis Nowra packs a powerful emotional punch in this intelligent action–adventure story of war, survival and the amazing bond between man and dog. Easily my best book of the year for young men aged 13 and up.